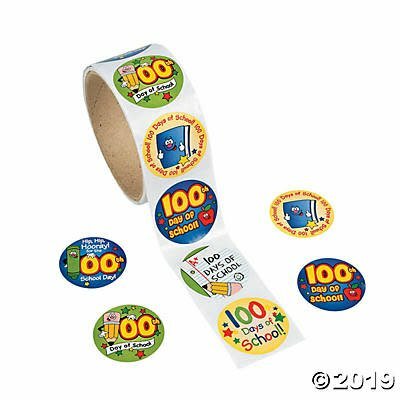 fun express - Learning Tree Educational Store Inc.
Assorted. 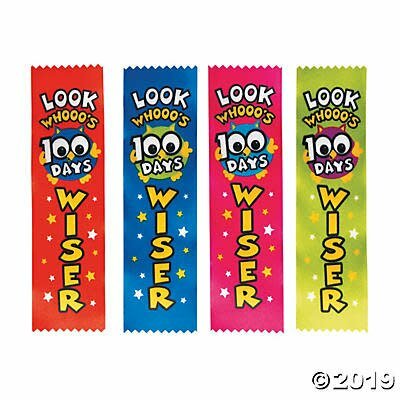 Pre-printed with “Look Whooo’s 100 Days Wiser”. 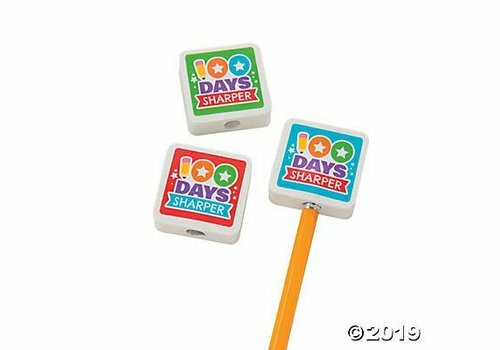 2" x 7"
Get them excited for the 100th day of school with these fun school supplies and rewards! 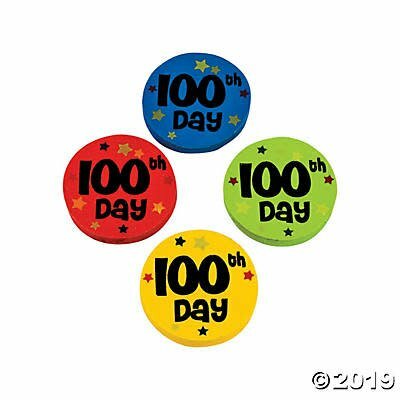 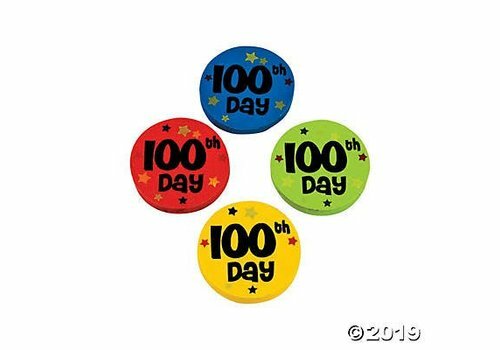 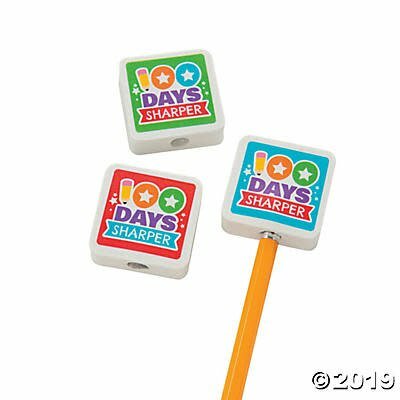 A great addition to student handouts and rewards, these erasers come designed in bright shades of red, blue and green, each printed with "100 Days Sharper". 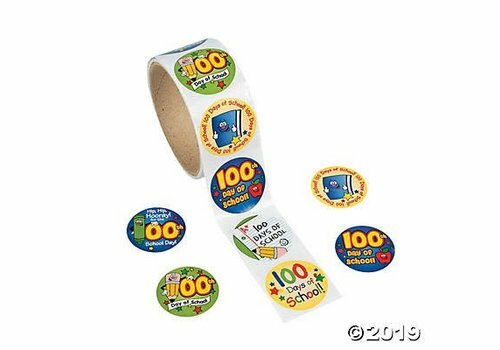 100th Day of School Sticker Rolls. 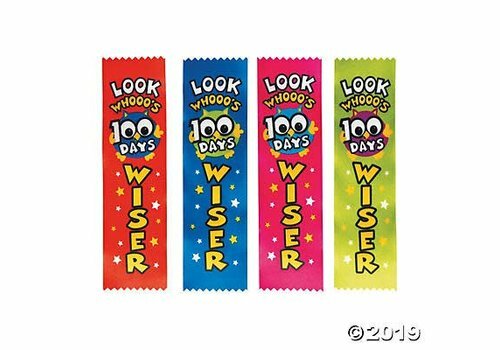 Assorted designs. 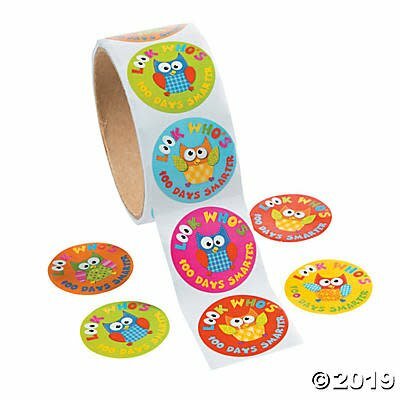 (100 stickers per roll) 1 1/2"
Assorted styles. 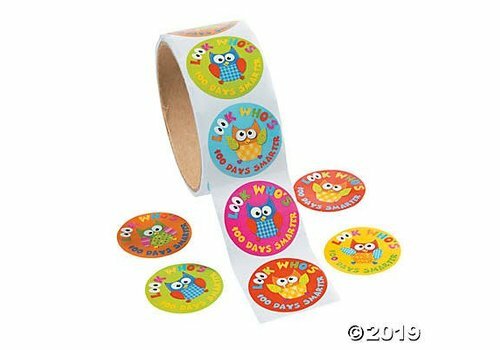 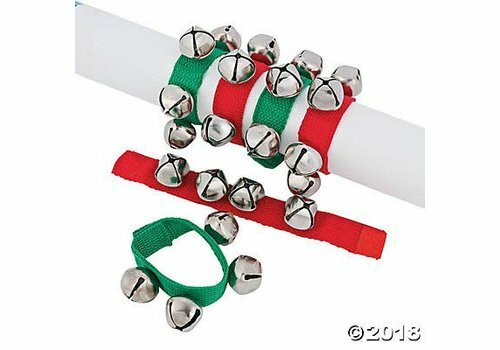 (100 stickers/roll, shrink-wrapped) 1 1/2"
Fun and festive, these bracelets bring the holiday charm of jingle bells everywhere. 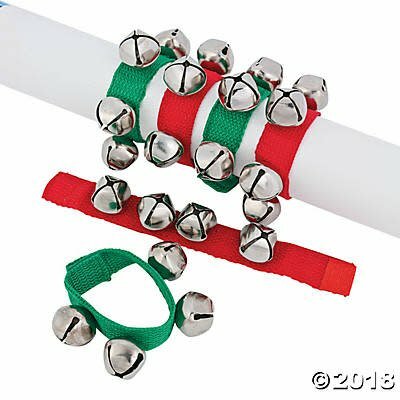 They make cute gifts for friends and family to wear during the Christmas season.